I received product/compensation from One A Day to write this post. All opinions are mine alone. I’ve been committed to a healthy lifestyle for a long time now. 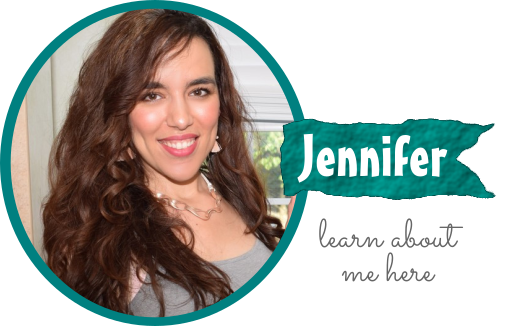 Today I’ll be sharing some details of exactly what I do to make smart lifestyle choices every day. 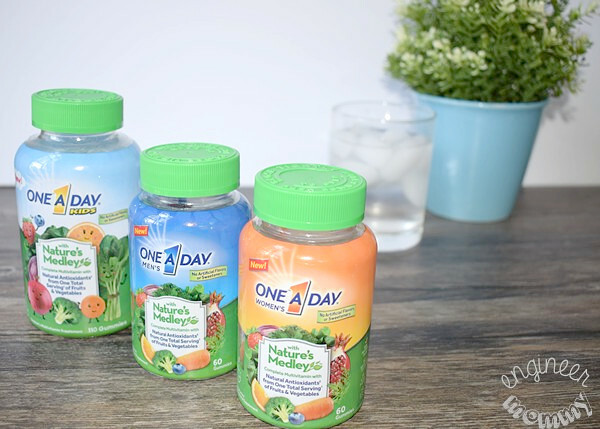 From getting enough sleep to drinking plenty of water to taking the NEW One A Day® with Nature’s Medley™ multivitamins, keep reading for all the details. 1. Exercise for at least 30 minutes several times per week. Staying active on a regular basis is a significant part of my healthy routine. Sometimes I will head to the gym and hit the treadmill for 30-45 minutes. 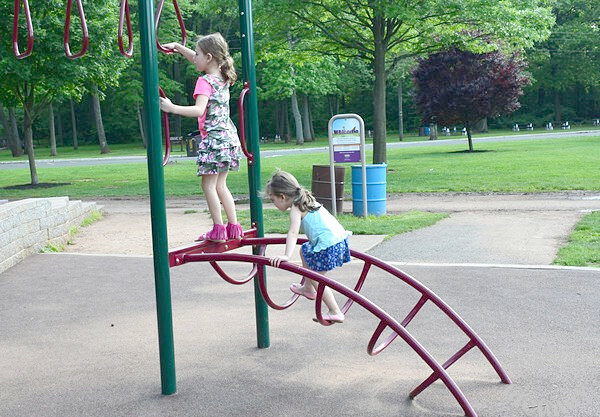 Sometimes I will take the kids to the playground and while the kids play on the structures, I will do some strength training on a nearby picnic bench. Even some tricep dips & push-ups are better than nothing! • Park farther away from the store and walk the extra distance. • Choose the stairs instead of the elevator. • Bike, rather than drive, around town. While these may seem like small changes, they do add up to significant boosts in activity over time. When it comes to physical activity, every little bit helps! I also make sure the kids get outside several times per week and encourage them to stay active. 2. Take a multivitamin every day. Taking a daily multivitamin is an important part of my wellness routine. 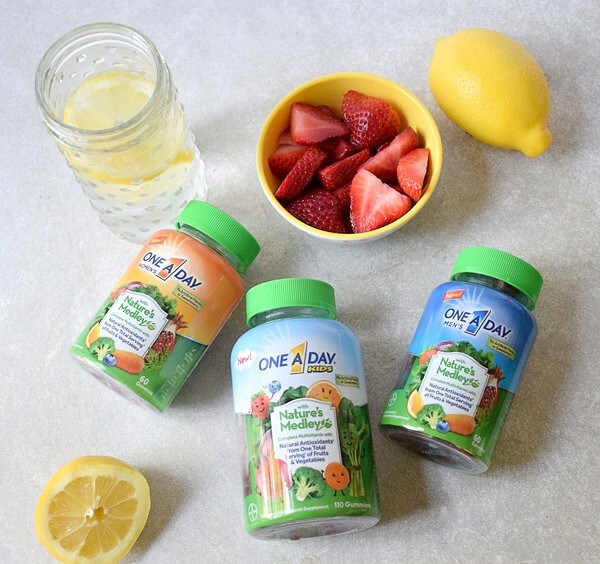 Recently I have been enjoying the NEW One A Day with Nature’s Medley, which is the only complete multivitamin with plant-based antioxidants from one total USDA serving size of fruits & vegetables, among leading brands. I love that this line doesn’t contain any artificial flavors or sweeteners. Oh, and all colors are from natural sources! Awesome, right?! I appreciate that the One A Day Women’s with Nature’s Medley is formulated to support heart health, immune health, bone health, eye health and skin health. * One daily serving is two gummies. Can I just mention how delicious-tasting these vitamins are? Taking my vitamins has never been easier to remember! Did you know that 94% of kids don’t meet vegetable recommendations? Shocking & scary, right moms? As a mom of two picky eaters, I am always trying to creatively incorporate more fruits & veggies into my kids’ diets. 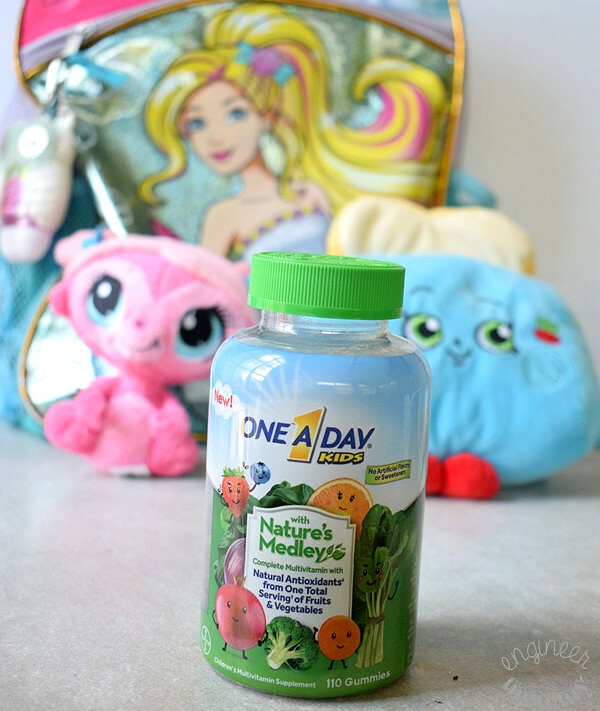 Since One A Day Kid’s with Nature’s Medley (formulated for children 4+) is the only†† multivitamin to offer one total serving† of fruits and vegetables, it’s an easy way to get extra nutrients in their diet. These vitamins provide key nutrients (Vitamins A, D, Zinc, and Iodine) to help support growth. * Also, these gummy vitamins are free of high fructose corn syrup and have no artificial flavors or sweeteners. 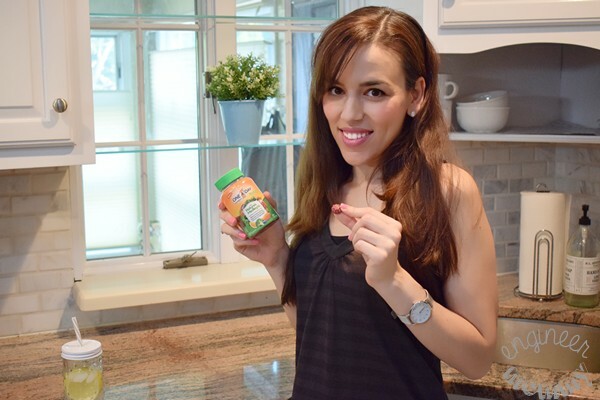 Both of my daughters report that they enjoy the taste of these gummy vitamins so getting them to take their daily dose is no longer a struggle! Total win over here! If you’re looking for a multi-vitamin for your family, check out One A Day with Nature’s Medley, which offers three great-tasting gummy varieties: Men’s, Women’s, and Kids. 3. Follow practical sleep hygiene guidelines. • Put away electronics a few hours before bedtime. Avoid the temptation to check the phone, tablet, computer, etc. in bed. • Try to wake up at the same time every day, even on weekends. Keeping a predictable sleep schedule will help the body stick to a reliable sleep-wake cycle. • Avoid caffeine during the second half of the day. 4. Make wholesome food choices throughout the day. 5. Control stress through yoga & mindfulness. As much as we try to avoid stress, dealing with some stress on a regular basis is kinda inevitable. However, if we can control the way we react to it, we will have a better chance of leading a healthy lifestyle. Yoga is an easy practice that can be done at home. Even if you’ve never done it before, you can start with some simple poses. By engaging in controlled breathing, meditation, physical movement and mental imagery, you can take control over your body’s reaction to stress. 6. Stay hydrated with infused waters. Drinking sufficient fluids is important throughout the year, especially during the warmer months. Luckily, water-rich foods like watermelon and cucumber all count toward one’s daily requirements. During the spring & summer, I always have a water bottle with me when I leave the house. One way to boost the flavor of water without sugar or calories is to add some citrus slices to the water. 7. Pursue passions for balance & happiness. When I think about a healthy lifestyle, I always envision an overall, well-balanced approach that takes into account one’s body, mind and soul. One of my passions has always been to create art by drawing, sketching and painting. I have kept drawing journals since I was a teenager. It is an easy way for me to focus on myself and do something I truly enjoy. 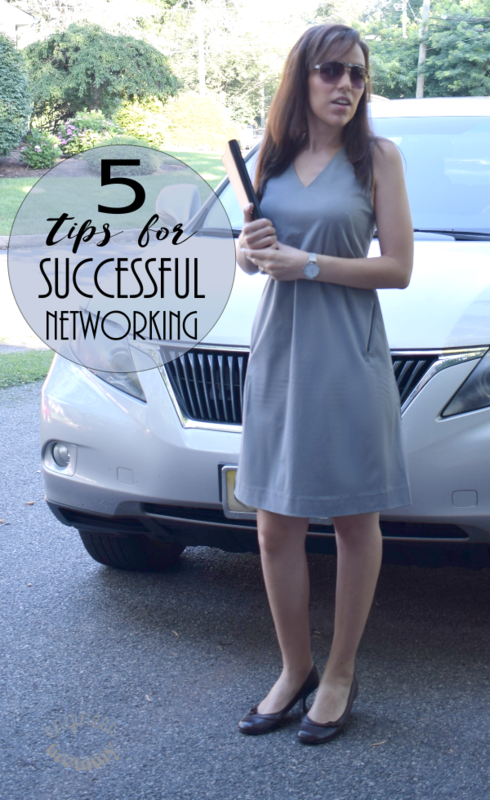 As a busy mom that’s always on the go, getting some “me time” on a regular basis is essential. I hope these tips have inspired you to make healthy choices for your lifestyle. 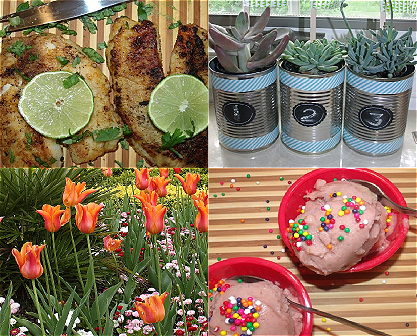 Don’t forget to check out One A Day with Nature’s Medley for your multi-vitamin needs. Do you take a daily vitamin? What is your best tip for leading a healthy lifestyle? And you can save $4 NOW! I workout 4 or 5 times a week. I always feel better when I do, so I make it a point to keep it a part of my regular routine! You have some wonderful habits! I don’t take a vitamin but at my age, I believe that I should! I love my one-a-day vitamins! I was thrilled when I bought the gummies. They taste so good and I never forget to take my vitamins. I’m running low on vitamins, so I’ll check out your picks when I buy more. I need to start exercising and taking better care of myself. Staying hydrated is always a problem for me because I don’t drink enough water. I need to take water along everywhere I go and without a choice, I’d get my fill of it. These are some great idea, I love the fact you have come up with some simple ideas that we can all try and pull into our daily lives. I need to pick me a bottle of energy boosting supplement. I must agree, even some lounges and squats will do. Great tips! I have to say that I believe negative and chronic stress to be the most harmful thing people can experience related to their health and wellness. Wow, I totally agree! Good point. Stress can be toxic for sure. Keeping stress under control is key!! Yes, we all love them! We take these multi vitamins everyday. Getting out and working out is very important along with healthy eating. Just stay active. I do take vitamins, when I remember to take them. I started walking a couple of weeks ago and I feel better for doing it. Thank you for the tips as I have been trying to lose weight so I bookmarked this to remind me what I should be doing. These are all great habits to get into! I recently got back into working out consistently and just started taking a multi-vitamin! I am slowly getting there! I need to make drinking more water on a daily basis more of a habit. Thanks for the reminder with #6 on your list. 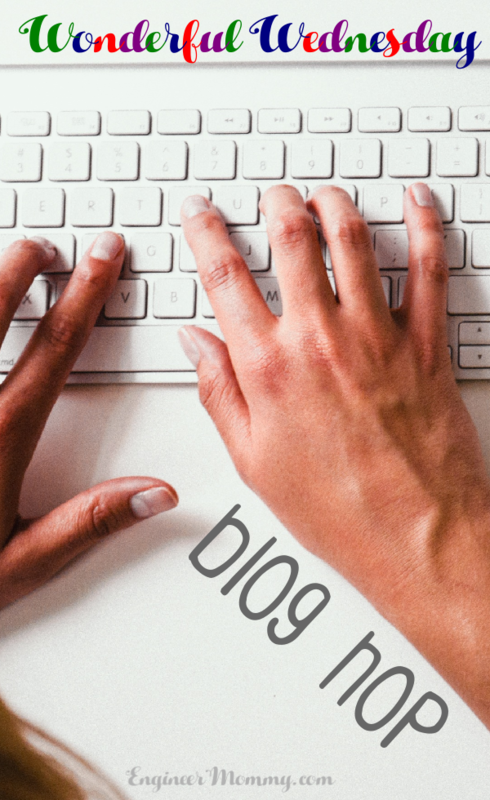 These are some great tips. I’ve been trying to get in some extra steps this summer, as well as swimming as much as possible. Staying active and making sure that you eat healthy are really important if you want to maintain a healthy lifestyle. I think these are all very good habits to get used to! Taking supplements daily is so important. I always try to park further away. It makes it so much easier to get a quick workout. Couldn’t agree more on your list. Definitely a great compilations. Me too is always taking multivitamins to make sure I have some shield for my everyday activity.